Welcome to our Luxury Prestige Holiday Home situated minutes away from the main complex. 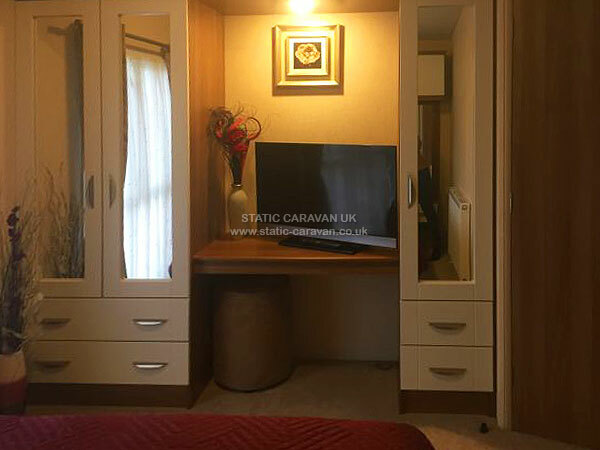 Cannot be rented through Haven, if you have not rented privately before you are in for a luxurious treat as this caravan has many added features you would not get renting from Haven such as knowing where your caravan is on the park, what it looks like & consists of before your arrival, with the addeduses of not having to queue for keys. 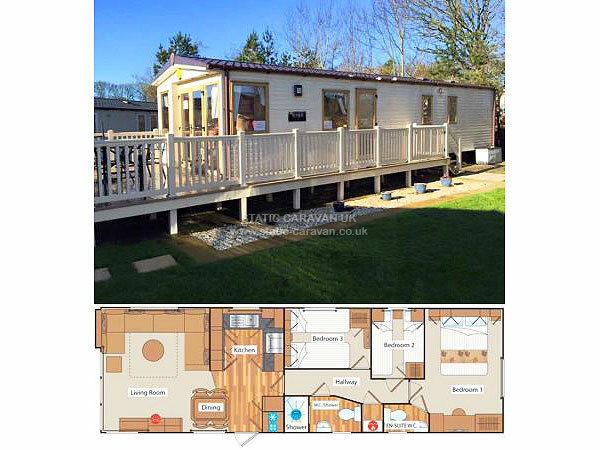 Our caravan is situated in a quite cul-de-sac located on Linkfield Court, 2 minute walk to main complex. 10 minute walk to the fun fair, the fishing & boating lake & crazy golf. 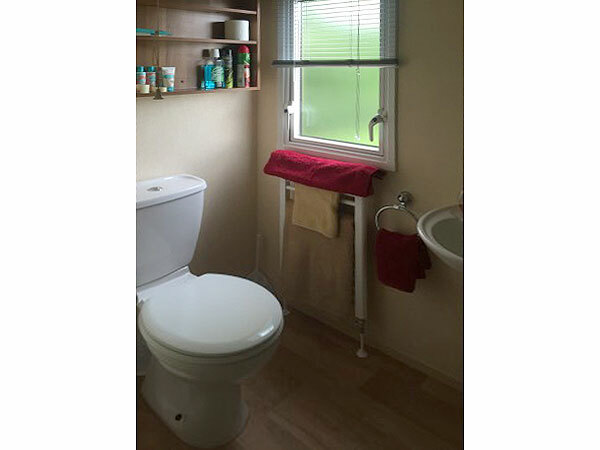 5 minutes to the swimming pool (inside & outside) & a 5 minutes stroll to the swing park. 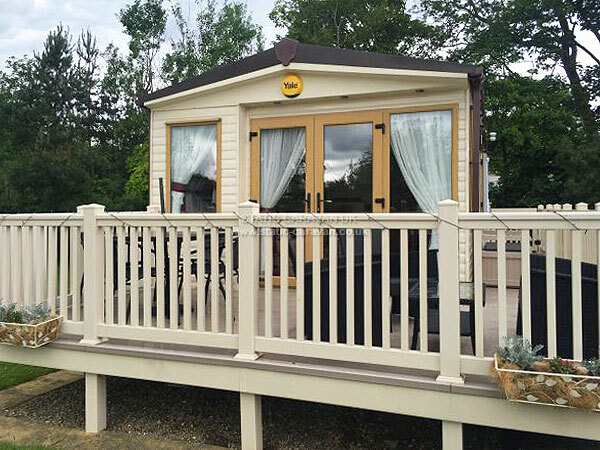 Our holiday home has a large private decking area with balcony to the front & side, rattan patio furniture & a large table & chairs. 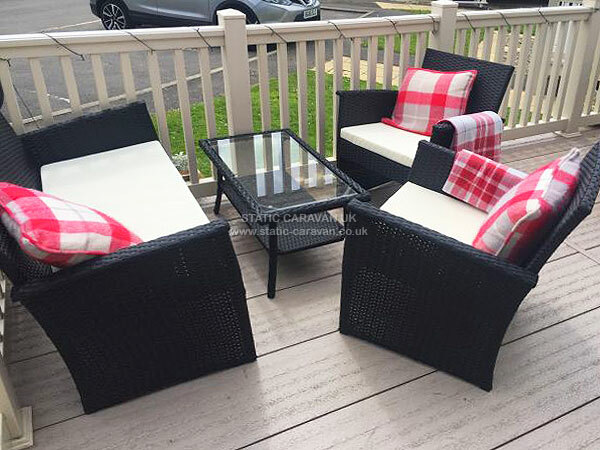 The decking area has a gate that locks for the safety of children. 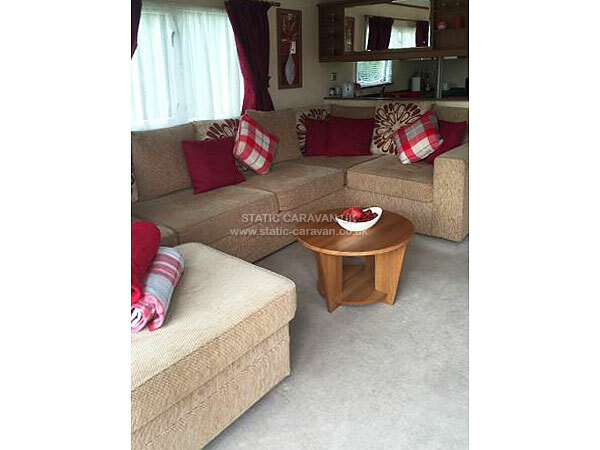 Also a spacious grassed area to the sides of caravan perfect for children to play. 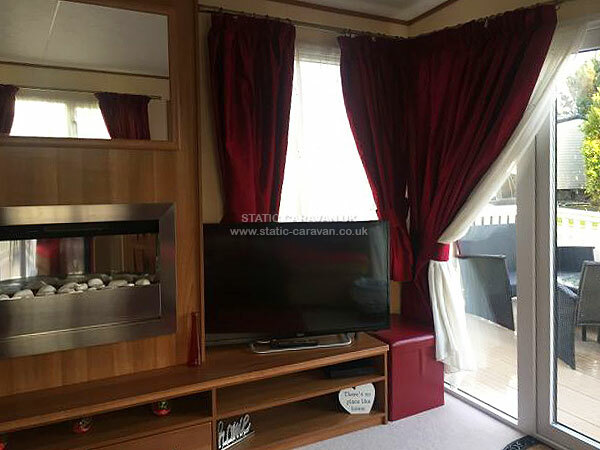 The spacious lounge has a large seating area, French doors leading out onto private balcony, large 43” TV with built in free view & DVD player if you would like to take your own or use a selection left by us for your use. 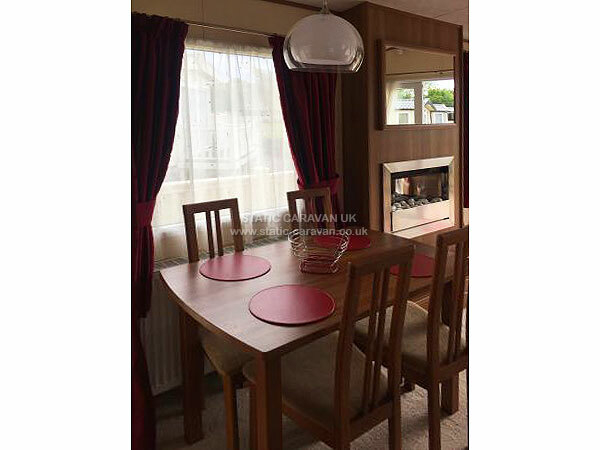 There is also a dining area with table & chairs seating 4 people. Spotlights leading throughout both lounge & kitchen. The kitchen has open view to lounge area consisting of a integrated fridge freezer, gas cooker, grill, kettle, toaster & microwave. All cutlery, dinner sets, utensils, oven trays, pots, pans & glasses included. 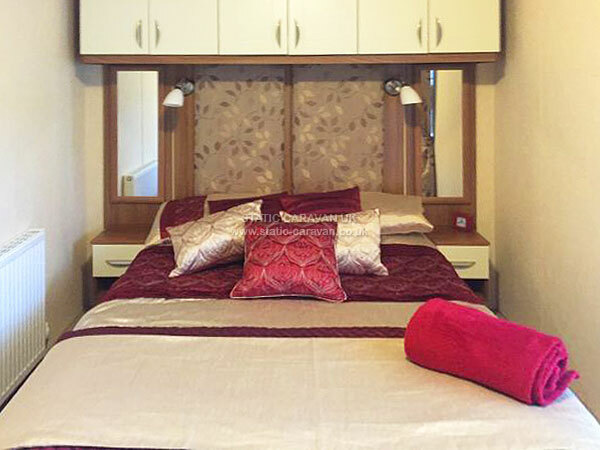 Master bedroom has double bed with en suite, 32" flatscreen tv with built in freeview,hairdryer, built in wardrobes with large mirror & dressing table with buffet. Room for travel cot if required. 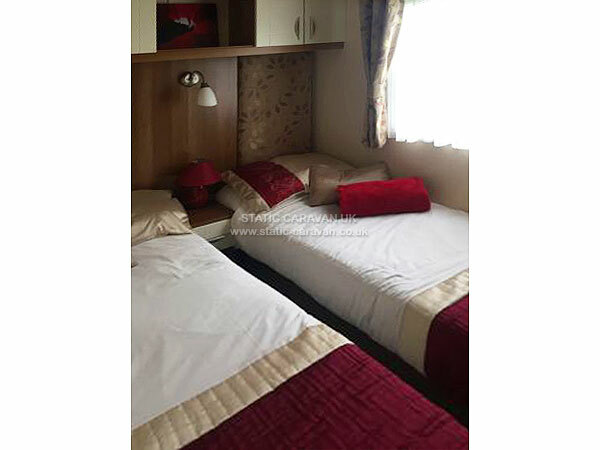 2x twin rooms both rooms have built in wardrobes & mirrors. Separate family WC and shower. There is sufficient parking for vehicles in front of the caravan. 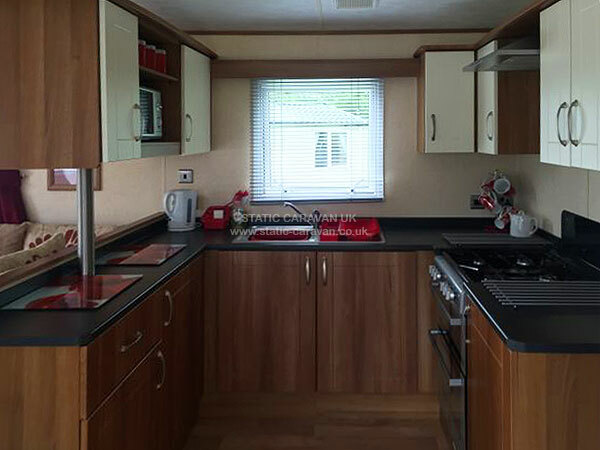 Our caravan is professionally cleaned before & after all stays. All beds made up on arrival with fresh bedding for you to relax & enjoy. Passes are not included in price but can be organised for you, please ask when booking your stay for more information. 7 nights - Adult £41.75 Child £21.75 capped at £142.00 6 passes. 3/4 nights - Adult £32.00 Child £15.50 capped at 115.00 6 passes. 7 nights - Adult £27.75 Child £13.50 capped at £103.00 6 passes. 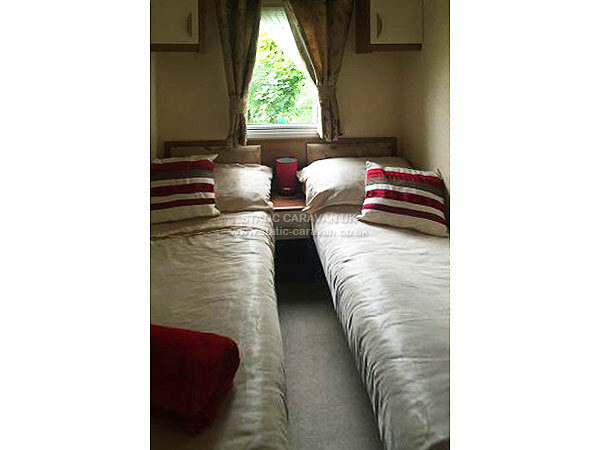 3/4 nights - Adult £21.50 Child £11.00 capped at £88.00 6 passes. Keys collected from caravan so no need for queuing a unique key code is given to every customer. Check in times are 2pm check in & 10am check out. Can adjust dates availble to fit around you if i can, please just contact me to see what i can do. Any questions or queries dont hesitate to contact me. We hope you enjoy your stay as much as we do in our much loved holiday home. We hope you make yourself at home, enjoy & relax. Payments are made via bank transfers straight in to owners account to secure your booking. In order to secure your booking a £50 non refundable deposit is required at the time of booking. The remaining balance must be paid in full 8 weeks before your arrival date or upon booking if this is less than 8 weeks in the future. 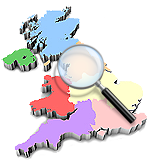 Please note that £50 refundable bond is required to cover any loss or damage which may occur to the caravan or its contents. All haven park rules & regulations must also be followed these can be found on the haven website. If, in the opinion of ourselves or the Park Manager, any party who is guilty of conduct prejudicial to the well being of others or fails to comply with the terms and conditions, we or the Park Manager may re-take possession of the accommodation immediately, without compensation to the party.